It looks like Eurodollar is about to complete current correction. Target for bulls is near several fibo-levels at 1.3970. I opened two buy orders and expect pair to break latest maximum. 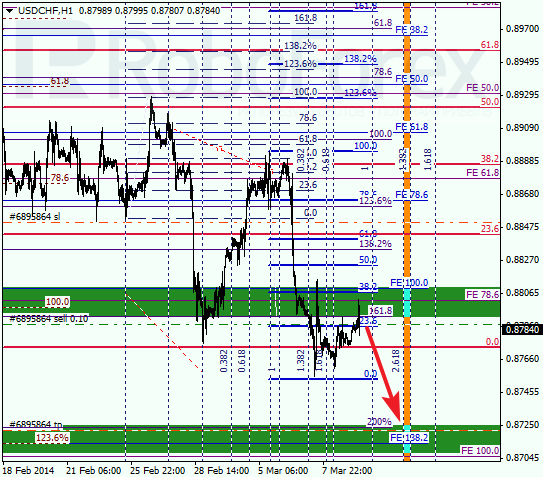 As we can see at H1 chart, current correction couldn’t reach local level of 38.2%. If price is able to break level of 23.6% upwards in the nearest future, bulls will return to the market. According to analysis of temporary fibo-zones, upper target levels may be reached during the next 24 hours. Franc is also still being corrected. Main target for bears is close to several lower fibo levels at 0.8720. If later price rebounds from this target area, pair may start new and deeper correction. 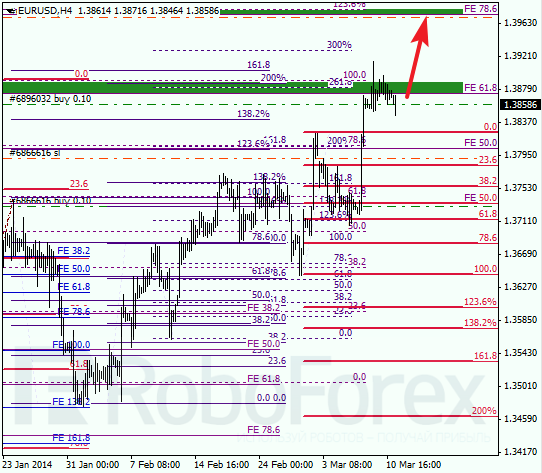 At H1 chart we can see, pair reached local level of 38.2% and rebounded from it. Possibly, price mat reach new minimum during the day. According to analysis of temporary fibo-zones, lower targets may be reached by Wednesday.